ICICI Bank home loan eligibility is calculated based on your age, income, property value and repayment capacity. Net Income: Your net monthly income (take home salary after all deductions like PF, ESI, gratuity) determines your home loan servicing capacity. It determines how much home loan EMI you are capable of paying after meeting living expenses based on your standard of living. For instance, if your salary is Rs. 25,000 and the value of house you are buying is Rs. 40 lakh, then at interest rate of 9.05% offered by ICICI Bank, the loan amount that you will be eligible for (assuming you have no other EMI’s to pay) would be Rs. 25.60 Lakh to Rs. 40.21 Lakh depending on your age. Similarly, if your salary is Rs. 75,000, you might get eligible for a loan amount of Rs. 51.20 Lakh to Rs. 80.42 Lakh for same property at same rate depending on your age at the time of loan application. You may consider repaying any loans with short tenure and high EMI in order to increase your ICICI Bank home loan eligibility. Nature of Employment: ICICI Bank will check whether you are salaried or self employed and the company and sector in which you are working. It also looks at your years of experience to check for job and income stability. ICICI Bank requires minimum income history and job stability of more than 2 years for salaried individuals and of 5 years for self employed individuals. Co-applicant: Adding a co-applicant increases your eligibility for home loan as it increases your repayment capacity. The co-borrower you add should have good income, low obligation and clean CIBIL record. Property documents: Your property’s legal documents should be satisfactory and be cleared by the bank’s legal team. CIBIL Score: Your credit behaviour and track record from your past lenders and credit card providers gets captured in your CIBIL score. Banks consider this as a barometer to gauge your past credit behaviour and hence, CIBIL score becomes the most important factor to define your eligibility to get a home loan. When checking eligibility for home loan, ICICI Bank will look at the complete CIBIL report, which also includes all past running loans and your payment track record on loans and credit cards. Higher credit score increases your chances that your loan application from ICICI Bank will get approved. However, low CIBIL score will decrease your eligibility to get home loan. 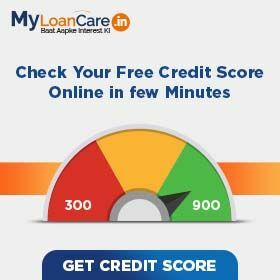 ICICI Bank requires a minimum credit score of 650 to be eligible for a home loan. High number of unsecured loans – Always keep a balance between secured and unsecured loans. More number of unsecured loans can adversely affect your credit score. Usage of credit limit – Credit card bills and use of credit limit shows your credit behaviour. Frequent withdrawals up to the credit card limit reflects a potential financial stress, indiscipline on your part and may adversely impact your credit score. Multiple loan applications – If you apply for loan in multiple banks at one time, it can affect your score negatively and reduce your CIBIL score. In case of application rejection from ICICI Bank, improve your credit worthiness to get a good score. FOIR (Fixed Obligation to Income Ratio) is an important parameter that ICICI Bank uses to determine your ICICI Bank home loan eligibility. ICICI Bank considers all your fixed obligations like current EMIs into account while estimating your eligibility. Minimum FOIR required to be eligible for home loan from ICICI Bank is 0.65. Calculate your eligibility with ICICI Bank home loan calculator and apply for eligible loan amount hassle free. Private sector lender, ICICI Bank, has recently introduced the facility of instant and paperless home loan, instant home loan with which the salaried customers can avail instant home loan of up to Rs. 1 crore for a tenure of 30 years based on the age of the customer using the internet banking facility of the lender. Apart from this, existing loan borrower can also take a top up on their ongoing home loans using this facility. Private sector lender, ICICI Bank has revised its home loan rates by 5 basis points. For home loans up to Rs. 30 lakhs, the rate has been revised to 9.05 from 9.15 earlier. For a loan amount of Rs. 75 lakhs, the rate now stands at 9.15% from 9.20% earlier. While for loan amount above 5 crores, the rate has been revised to 9.20% from 9.30% earlier. Earlier this week the lender has also announced a revision in its MCL Rates effective from April 1, 2019. Private sector lender, ICICI Bank has announced the launch of two instant home loan products for up to Rs. 1 crore for instant disbursal. The bank has launched two digital home loan products, Instant Home Loan and Instant Top Up Loan. 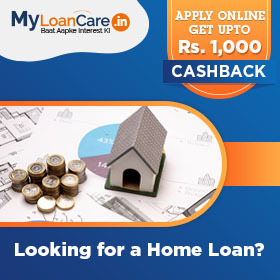 Under Instant Home loan, loan seeker can avail loan up to Rs. 1 crore for a tenure of up to 30 years whereas under Instant Top Up Loan, existing home loan customers can avail top-up of up to Rs. 20 lakh on their existing home loan for a tenure of up to 10 years. Private sector lender, ICICI Bank has announced the launch of two instantaneous home loan facilities namely Instant Home Loan service and Insta Top Up Loan initiative. Under the ‘Instant Home Loan’ service, pre-approved salaried customers can avail instant and paperless home loan approval of up to Rs. 1 crore. While under ‘Insta Top Up’ Loan initiative would enable existing home loan customers to avail the facility of topping up their loan immediately up to Rs. 20 lakh for tenure up to 10 years.